Beloved Japanese animation studio Studio Ghibli will effectively close its doors, no longer operating to produce new content, they announced today via a statement on Japanese television. A rough translation of Studio Ghibli general manager and Toshio Suzuki's TV announcement, in which he announces that the animation studio will be shuttered and Studio Ghibli will continue to exist for the foreseeable future as a one-man operation just to manage business affairs, has been posted on the Studio Ghibli blog (via Indiewire). Hayao Miyazaki, long the face of Studio Ghibli, recently retired from feature filmmaking and as early as 2010 had speculated that sooner or later rising costs might lead the studio to slash its labor force and become essentially a copyright warehouse, managing the rights to the more than three dozen feature films, TV series and shorts created since Ghibli was launched in 1985. What seems to be the studio's final feature, Hiromasa Yonebayashi's When Marnie Was There, opened last month theatrically in Japan. That was almost exactly a year since The Wind Rises, Miyazaki's last feature for Ghibli, was released. Due to rising labor costs in Japan and Ghibli's refusal to outsource animation, The Wind Rises reportedly hasn't yet turned a profit, even though it has generated an impressive $90 million. 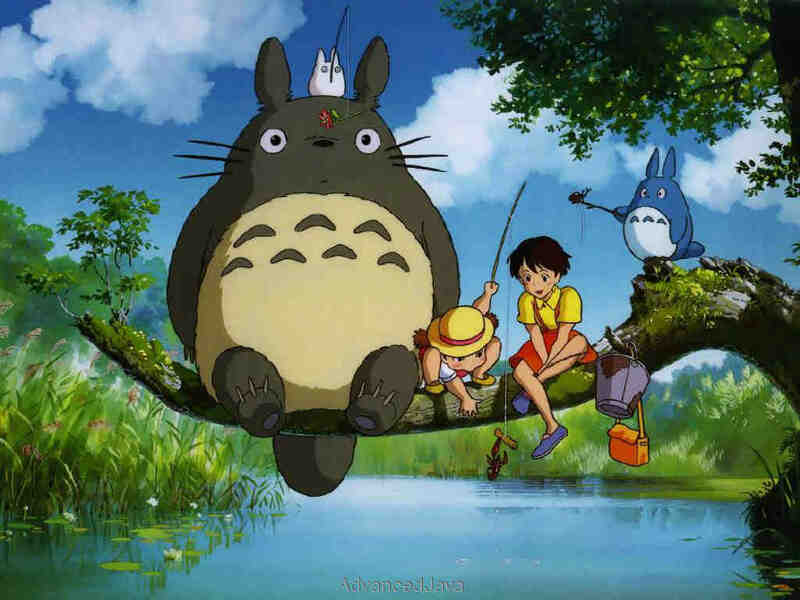 The studio (mostly Miyazaki) has turned out a number of huge, enduring hits including My Neighbor Totoro, How's Moving Castle and Kiki's Delivery Service. 1997's Princess Mononoke became the first animated feature in Japan's history to gross more than 10 billion yen at the box office and the first animated film ever to win a National Academy Award for Best Picture of the Year. It earned $2.5 million in the U.S. after acclaimed comic book writer Neil Gaiman wrote the English-language adaptation, which was then voiced by a cast that included Claire Danes, Gillian Anderson, Jada Pinkett-Smith and Billy Crudup. The blog linked above is apparently not the official Studio Ghibli blog, as numerous news sources have claimed. It is, rather, a fan-run blog that is typically reliable for accurate information and so has come into heavy rotation among those covering Ghibli with regularity. Kotaku notes that the translation of Suzuki's remarks may indicate a closure or may indicate simply that the studio is taking a break. It's likely that the fan blog assumed the worst on account of the previous comments made by Miyazaki. "At the time of writing, no major Japanese newspaper is running this story," the Kotaku article notes. "Nor did any morning TV shows. Had Studio Ghibli - a national treasure - definitively ceased production of films, it would be headline news around the country, as it would be important in both the entertainment and business worlds." We apologize for any confusion. We believed the initial story to be wholly accurate, as we were reporting based on a number of U.S. news reports from credible sources.